Need some inspiration to go running? How about this guy who’s dressed as a Chick-fil-A Cow? Jade Costen knows a lot about setting goals and staying fit. He’s one the world’s top triathletes and completed three Ironman Races last year. 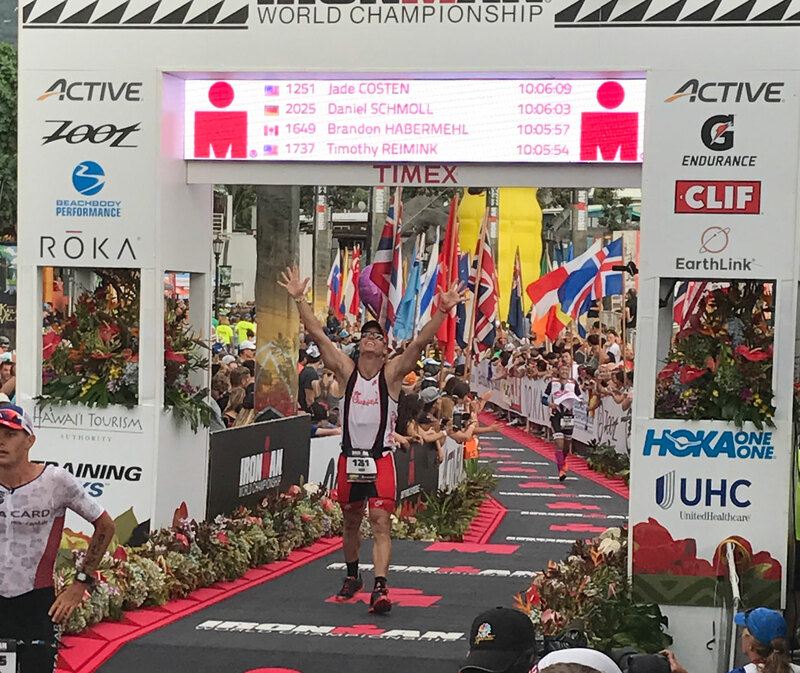 The Ironman is considered one of the most daunting sporting events on the planet: a 2.4-mile swim, followed by a 112-mile bicycle ride and finishing with a marathon run, which is 26.2 miles. Costen is also a Chick-fil-A Restaurant Operator, and so for his latest physical challenge, he took inspiration from something familiar. After becoming a Chick-fil-A Operator in December 2012 at the Thruway Shopping Center Chick-fil-A in Winston Salem, North Carolina, Costen connected to the local running community. In his first day on the job, he issued a challenge for runners in the local YMCA’s Mistletoe Half Marathon. His offer got a lot of attention. 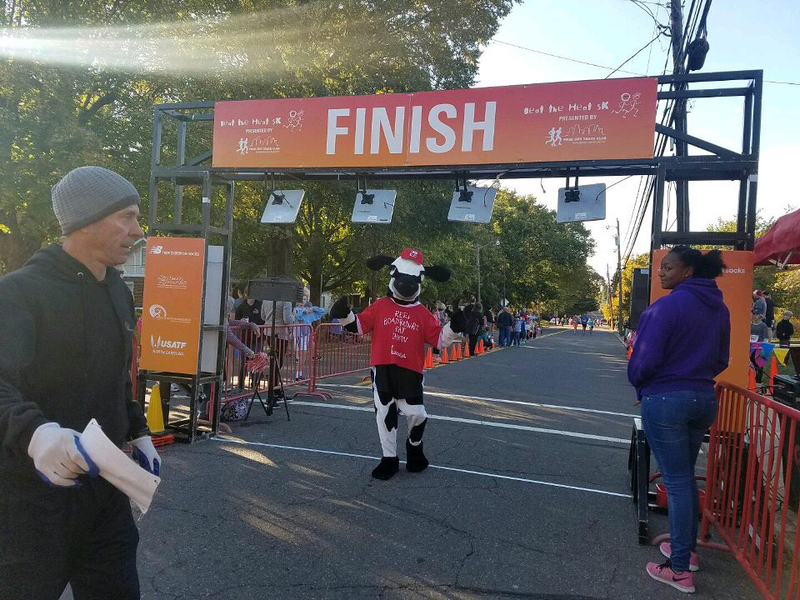 That’s right: running a half marathon in the famous Chick-fil-A Cow suit. He knew it was a lofty goal, so he started small. His first Cow race was a success as he was able to complete the 3.1 miles in the heavy, hot suit. Costen did another 5k, and then another in his quest to make it to the half marathon. He says he hit a turning point when he participated in a one-mile fun run… and won. “I was first in the cow division,” Costen jokes. That boost of confidence carried him into his big event: the half marathon. He strapped on the suit and tackled the 13-mile race, fighting through less than desirable conditions. Costen knew if he was going to keep running as the famed bovine mascot, he would need to make a few changes, so he called the company that makes all of Chick-fil-A’s Cow suits with an odd request. Costen was heavily involved in the process. He visited the company’s office where they took his measurements and let him test out prototypes. Several prototypes and about eight months after the initial idea, the High-Performance Cow was born. With the High Performance Cow ready to race, Costen took on the Mistletoe Half Marathon again as well as five more 5Ks. Between all this Cow-building and half-marathon running, Costen has managed to keep doing triathlons. In fact, he incorporates Chick-fil-A into those events, as well. He credits Chick-fil-A with being a driving force for his success in last year’s races. And it’s definitely working. This was his second time in the World Championship, and he finished an hour and forty minutes faster than his previous one. His lightning fast finishes have pushed him to elite status: In his age group, Costen is ranked 4th in the United States and 9th in the world. It’s hard for him to believe. Costen plans to take a break from the triathlons this year, but is still going to do plenty of races as the High-Performance Cow. In fact, he looks at it as an opportunity to encourage people to get active.